Bruce Lee claimed that Choi Lai Fut is one of the martial art styles that he has encountered and has great respect to this style. He said Choi Lai Fut is the most difficult styles to attack and defend against. During the 18th century, the most talented monk in martial arts skill of Shaolin temple, JueYuan felt the need to seek knowledge from outside the confines of the temple to keep the fame that the temple enjoyed. Monk JueYuan set out to serch for ingredian that missing in martial arts practised in shaolin temple. In Gansu, a Province in the west of China populated with not just Han but also Arab and Tibetan Chinese. (Infact It is still very easy for a novice to confuse Tibetan Crane sequence with Choy Li Fut.) Here in the city, he met Li Sou, a master of Li family Kung Fu. The Li family have learnt their arts from the Taoist immortal and other traveling Tibetan hermits from the Wudang and O Mei Mountains and were passed down through the generations, mostly staying completely within the Li family. They returned to Shaolin with Bai Yufeng and expanded JueYuan's 72 techniques to approximately 170. Moreover, using their combined knowledge, they restored internal aspects to Shaolin boxing. They organized these techniques into Five Animals: the Tiger, the Crane, the Leopard, the Snake, and the Dragon. These arts of combat become a tool to adjust balance in life where one could cultivate both spirituality and physical health in harmony. A efficient way for developing positive philosophies and meditations to help them be at peace with themselves and their surroundings. 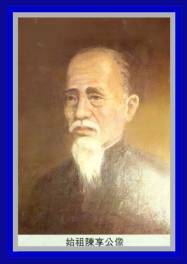 CHAN HEUNG 1806-1875 at seven years old, began learning martial arts under his uncle Chan Yuen Woo. Yuen Woo was a famed master from Shaolin Temple, and taught his nephew the Fut Ga Kuen. Fut Ga (佛家), literally "Buddha Family," specializes in palm techniques and for this reason is also known as Buddhist Palm. 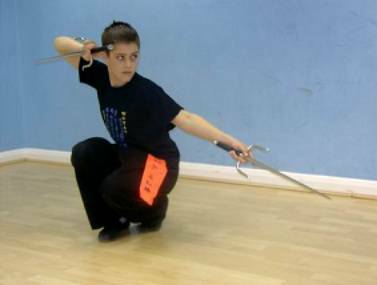 After years of study with his uncle, Chan Heung had become a consummate warrior by the early age of 15. Yuen Woo instruct Chan Heung to seek out his kung fu elder brother Lei Yau San, a practitioner of the Li (Lei in Cantonise)family Kung Fu To further his skills. After five years of training, it became apparent that Chan Heung was proficient in the Li family Kung Fu, Chan Heung was then referred to the Shaolin monk Choi Fook to further his martial arts knowledge. Choi Fook had learned this from Choi Gau-Yee,founder of Choi family Kung Fu. Choi Gau Lee is the grand student of Monk JueYuan After years of intensive study, Chan Heung combined his knowledge of 3 martial arts systems and called it "Choi Lei Fut" in honour of his teachers. 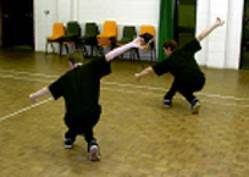 The combination of these martial arts system made Choy Li Fut all-round effectiveness, we use many Choy Li Fut techniques in our Kickboxing syllabus to enhance all-rounded ability of our students. The techniques includes grappling, Chin-na, throws, agile footwork and powerful arm techniques. Chan Heung student's schools opened up all over China during a turbulent period of China's history. Choy Li Fut gives the student an excellent insight into a traditional Kung Fu style. The "Five Animals Celebration" set displays Choy Lei Fut's many facets, and is used in the traditional Kung Fu syllabus and the Five Animals Kung Fu syllabus for the intermediate level student. Further forms including some weapon techniques.